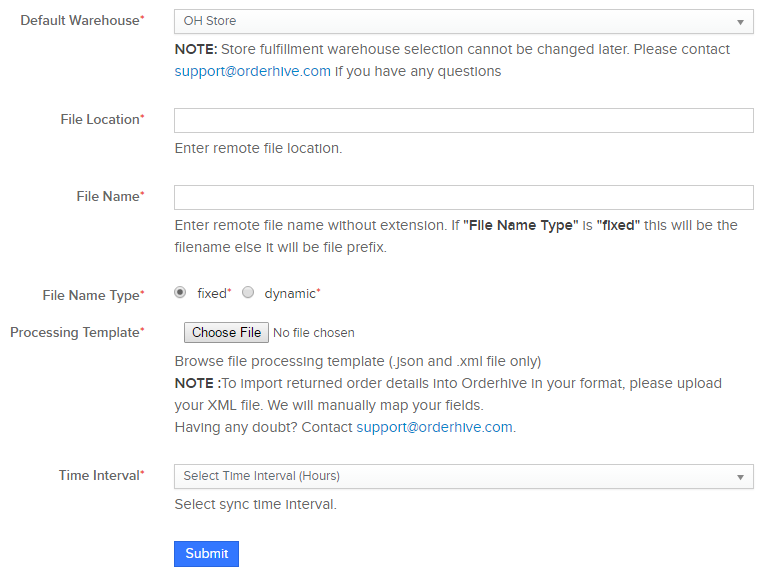 Integrate your FTP Server to import returned orders at regular intervals in Orderhive using XML. Go to Add Integrations page. 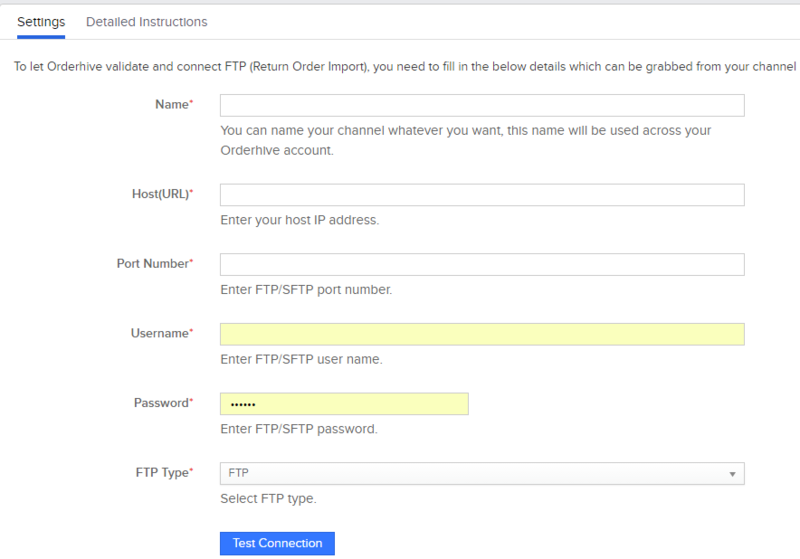 Select FTP from category and go to FTP Return order Import. On the settings page, you need to enter all the details mentioned. Enter channel name. This name will be used to identify this channel across your Orderhive account. Enter the HOST URL. This would be the IP Address or Hostname of the FTP server. Now, enter the port number of the FTP server. Enter the username and password of FTP server. Before moving ahead, please click on "Test Connection" to check whether all entered details are valid/correct. Select the Default Warehouse in which the order should be returned. Enter the file location where the file needs to be transferred. Also, please make sure read permission is enabled for import functionality and write permission is enabled for export functionality for this remote file location. Now, enter the File Name without extension. If the file type is fixed, only enter the name. 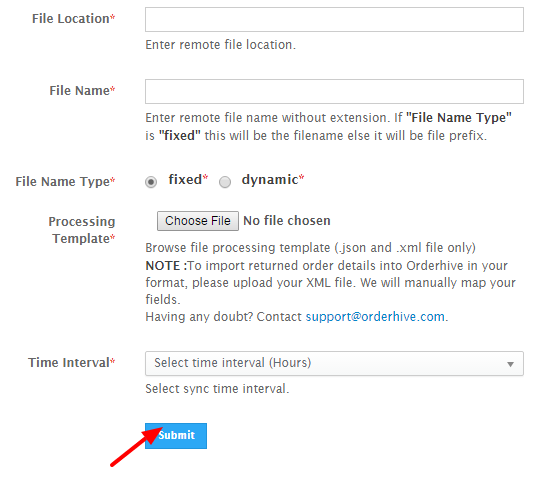 If the file type is dynamic, the entire name of the file will be considered as prefix. Select the File Name suffix. Attach the file processing template. Only .json and .xml is accepted. Choose sync time interval. For e.g. You choose 3 hours. Orderhive will sync new data every 3 hours. Note: FTP integration is relatively complex and can easily be understood by a technical person. You can get your developer in touch with our support team to set up the integration.